There are many errors which are popping up in Google Play Store when you are either installing a App or trying to update it. 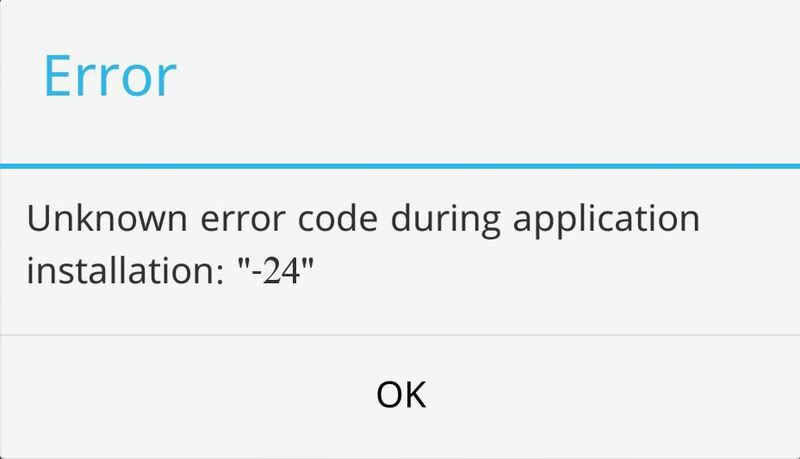 After the Kitkat 4.4 update the frequency of these kinds of errors has decreased but there are some errors like the one we are talking about here Error Code 24 which appears in Google Play store when we are trying to Update or Install an App. This Error is seen in Jelly Bean and ICS as well. We have already written tutorials about How to solve many other errors occurring in Play Store like Error 941, Error 921, and Error 495. You can also Clear the Cache and junk files using Apps like Clean Master. Note: You have to Root your device to do these steps. This method does not require any Factory Reset but you will require a good File Manager (example – Es File browser) to help make changes to the System Files. Give Root Access to view data/data/ ”App name” folder and also change your Root as Writeable which earlier used to be “Read”. These Settings can be found under the Settings Menu and after that you can easily navigate around. If all these fail you need to follow the next step which will surely solve the problem but you have to Back up all your data First and then go for it. Back up all your data on your device and then go for Factory Reset. This will clear all the data from your device and change all the setting to the way they were when you first opened your device. This can be the last resort as some users with some models were not able to get rid of this error even after trying all the above steps mentioned and Factory Reset was the only option which helped.